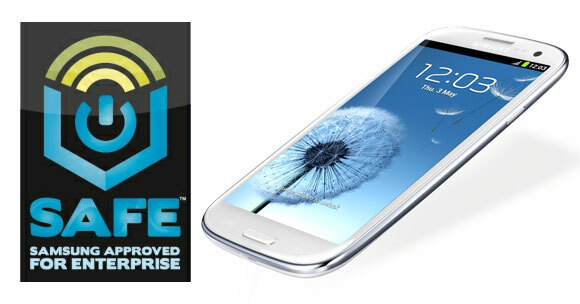 Now that Samsung has wowed Android fans with the Galaxy S III, it going to try and attract some enterprise users with its new SAFE brand of devices. Standing for Samsung Approved for Enterprise, SAFE is Samsung's go at making Android devices secure enough for corporate users. SAFE devices will offer enterprise tools such as Microsoft Exchange ActiveSync, support for VPN and Mobile Device Management, and onboard AES-256 bit encryption. Samsung hopes to further draw enterprise users with its SAFE2SWITCH program, under which corporate customers can trade in their current smartphone for a Galaxy S III. The first device to boast its SAFE features is the Galaxy S III and it will start rolling out in July in the US for AT&T, Sprint, T-Mobile, Verizon Wireless and US Cellular. Who the hell does what they want? I mean geeze we should all stick to one uniformed thing and only do things that other users approve for us.